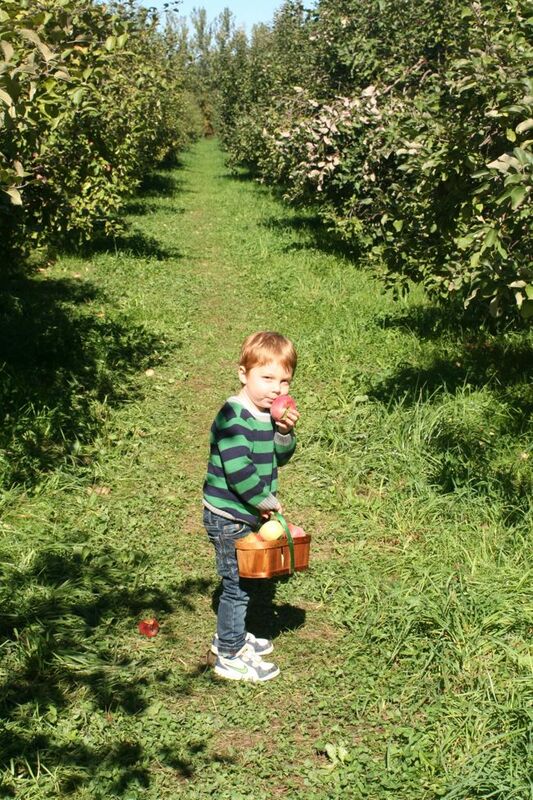 This is our third year apple picking at the Log Cabin Orchard in Osgoode, Ontario. It’s a family outing that we look forward to every year and our experience never disappoints. We take an enjoyable drive out to the country along a few winding roads and before we know it, we roll up to the Orchard on a side dirt road. It’s charming, inviting and makes you feel like you’ve stepped back into simpler times. The Log Cabin is a historic landmark and a cherished family farm. It boasts 33 acres of beautiful land – full of apple trees, green fields, and picturesque views. On weekends there is a tractor ride the whole family will like and the grounds are an ideal place for family photos. They also offer a menu of home-made jams and baked goods. We make everything from scratch, Yazmin says. We are a family business — everyone chips in and there are no employees. We still bake in the 170-year-old Log Cabin and we’re very proud of the quality and ingredients we put into every product. 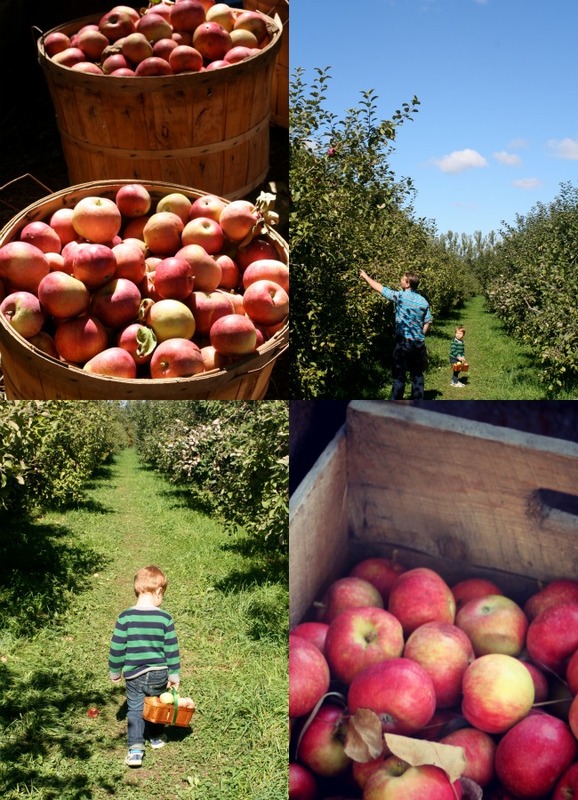 Aiden is no stranger to apple picking and dives right into the activity with a toddler-sized basket in tow. He fills it up, then transfers his collection into the bushel basket that Mr.Smith is lugging. I happily walk along, holding my growing baby belly while munching on a delicious, fresh cortland apple. 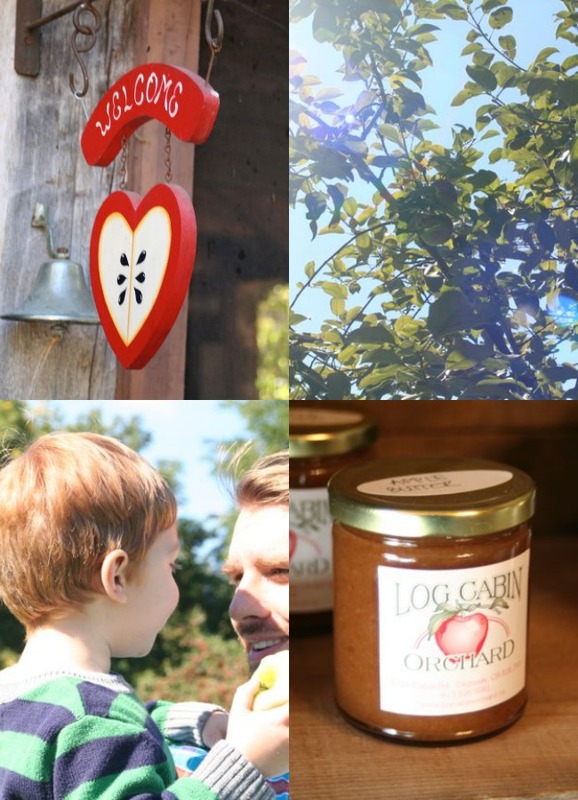 I relish in the sunshine, the Fall scent of the orchard, and the family fun that is taking place. After we picked our share, we take a peek into the Log Cabin to see what treats are for sale. We decide on a gallon of Apple Cider and pay for the goods. We chat with Yazmin for a while about our family tradition that started three years ago and she is pleased to hear it, thanking us for our patronage. We leave promising to email her our photos from the day. The people are warm, kind, and friendly – the experience is another treasured one. To see what apples are being picked right now and for more information about the orchard, you can visit their website. I’ve already been busy in the kitchen creating delicious ways to eat up our apples! I’ll be sharing tasty apple recipes all this week, beginning with a scrumptious Apple Spice Cake tomorrow. 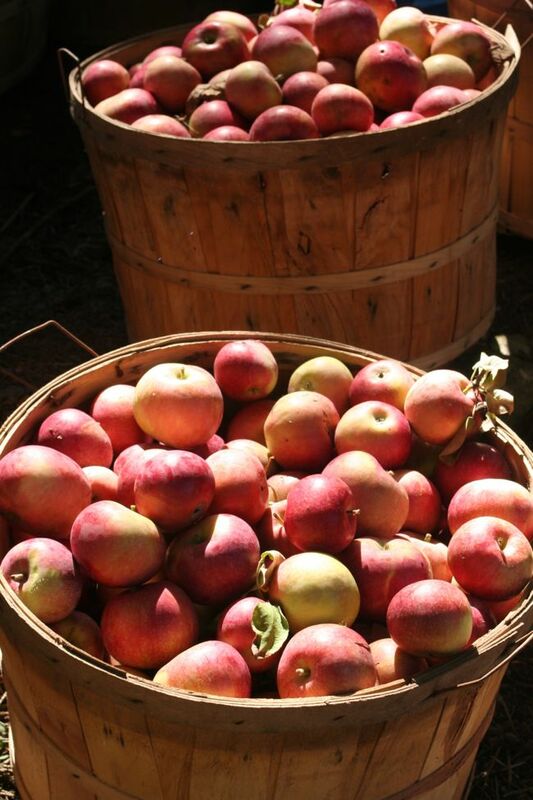 Have you been apple picking this year? 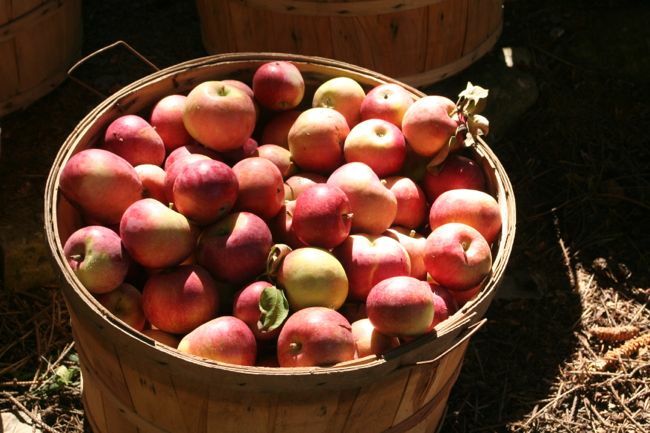 What is your favorite apple recipe to make? Such a fun family date!! We want to thank you for your visit, we were very happy to see you and your family again, Aiden is growing so fast!! 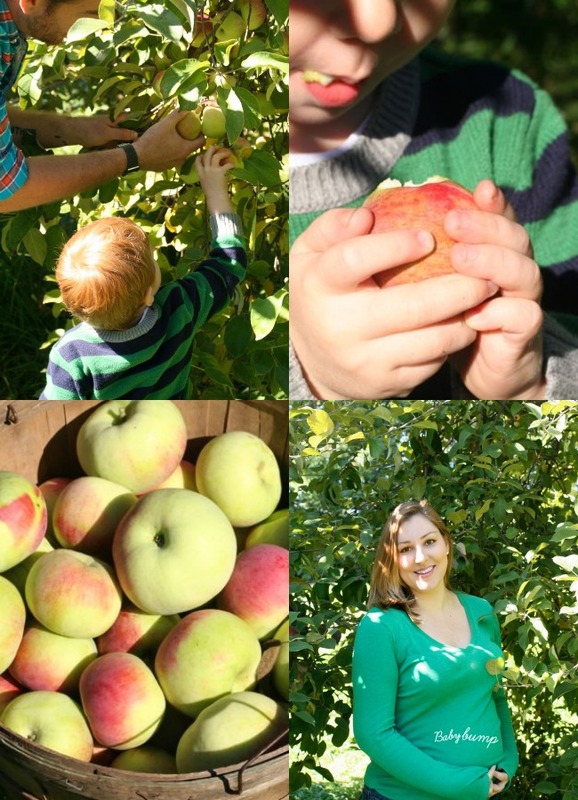 Your Blog is GREAT, and I am so glad you enjoy your visit, I had tears in my eyes when I read it, at the end of the day here at the Orchard we are creating memories, spending family time and making friends, I want to thank you for the appreciation of our hard work and your support. 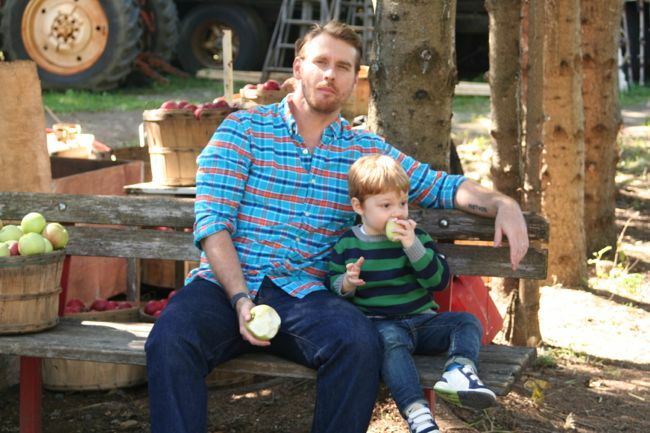 You guys are a very important part of the Orchard and we can wait to see you again next year with the new baby.